Two worlds exist, unaware of each other. Mana, or life force, is shared by both worlds and while one world thrives, the other suffers. Lloyd Irving lives on Sylvarant, a dying world where nothing is as it seems - a fact he hasn't yet realized. With a strong set of justice, incredible bravery, and a particular loyalty to his friends, he joins them in a very important quest: a journey to save their world. Choose the character in your battle party that you want to control. Command real time battles in a unique 3D battle system that gives you full control over the characters. Execute and combine hundreds of special attacks and magic spells. The line between good and evil blurs in this immersive, emotionally charged epic adventure where the fate of two interlocked worlds hangs in the balance. Like this game, was playing Eternal Sonata with my siblings, and the co-op mechanic wasn't as good as this one. The multiplayer is like super smash bros in the fights. 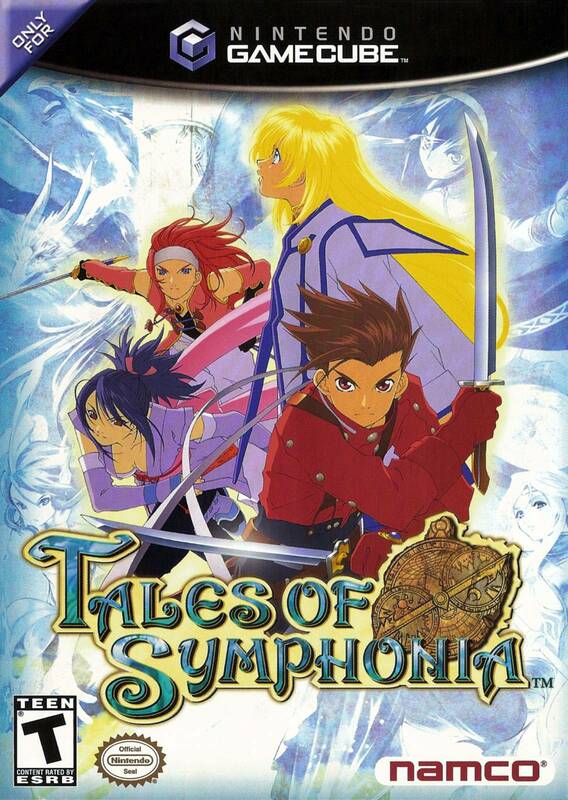 I bought the tales of symphonia as I knew I already liked it and wanted to play it again and its a great game, worked perfect, I would definitely recommend this company, as their support team are also quick to respond to you and fix whatever problems you may have as I had to return a previous copy that didn't work they overnighted me a new copy and it works perfect. 5 stars all the way. Lovely!! My version had a few deep scratches on it and I could not find it anywhere but here! So I took my chances and ordered it.. And was quite pleased! Thanks! Got this as a Christmas gift and it was shipped fast and is in great working order. I will be using this site again. This game is a classic. One of the best RPG's I have ever played. 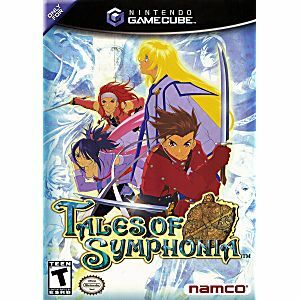 Tales of Symphonia is one of the best RPGs that was released for the gamecube. The game features a very active battle mode and has great dialogue. On your way to save the world prepare to laugh and expect one of the greatest RPGs to get you playing for hours.